The EK-XRES 140 SPC PWM Classic RGB - Plexi (incl. pump) pump-reservoir combo unit offers premium hydraulic performance and full PWM speed control for silent operation. Full performance on demand or whisper-quiet operation in idle mode, are the two things which are key to liquid cooling. This product is a part of the EK® Classic Product Line that is characterized by minimalistic and clean design while maintaining the class-leading performance. Less talk, more cooling! Include 120mm fan hole pattern pump mount? EK-XRES 140 SPC PWM Classic RGB - Plexi (incl. pump) is a value-oriented water cooling pump-reservoir combo. It has been designed to be an entry class combo solution that is able to offer great hydraulic performance complemented with RGB LEDs for modern aesthetics. The combo unit comes with a 120mm fan mount holder included. The EK-XRES 140 SPC PWM Classic RGB - Plexi (incl. pump) series pump-reservoir combo comes with a pre-installed anti-cyclone insert. The main body features two G1/4“ threaded ports of which one is an inlet (in the reservoir) and one is an outlet (from the pump). 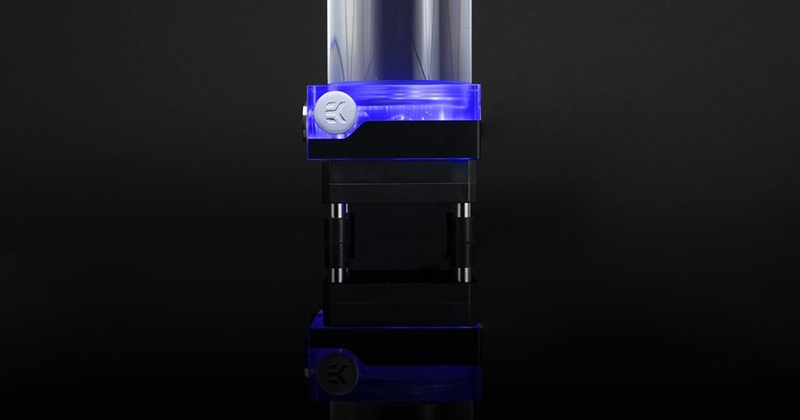 The reservoir tube is made of a quality acrylic material. The SPC pump is water lubricated, in other words, it uses a wet rotor design. Therefore, it is strongly recommended not to run the pump dry. This product is NOT compatible with DDC Heatsink Housing! The EK-UNI Pump Bracket bracket is included with the unit.